Stories of romantic love surround the history of both the Western celebration of romance as well its Eastern counterparts. Valentine’s Day originated as a Christian holiday honoring Saint Valentine, while the Chinese day of love, called the Qixi Festival, celebrates the annual meeting of the Cowherd and Weaver girl in Chinese mythology. In the article below, we will highlight the origin stories of these two celebrations of romance and love. The story of the Evening of the Seventh is based on a myth from the romantic legend “the Cowherd and the Weaver Girl” that originated during the Han dynasty. Also, celebrated as the Tanabata festival in Japan, and the Chilseok festival in Korea. According to legend, the seventh daughter of the Goddess of Heaven, Zhinü ( 织女/ 織女, symbolizing the star Vega in the Lyra constellation), bored of her life above the clouds, would escape from heaven seeking adventure. Once she arrived on Earth, she met a cowherd, Niulang (牛郎, symbolizing the star Altair in the Aquila constellation), tending to his sheep; the two locked eyes, and instantly fell in love. The Goddess of Heaven, looking down, was furious to find her daughter in love with a mere mortal. She forbade the lovers from ever meeting again. The Goddess separated Zhinü and Niulang by banishing the two lovers to opposite sides of the Milky Way. But all the magpies of Earth took pity on the couple. Each year on the 7th day of the 7th month in the lunar calendar, they form a bridge across the Milky Way to let the lovers share one night. This year on August 7th, the star Deneb will emerge between Vega and Altair and bridge the gap between the Cowherd and the Weaver Girl. 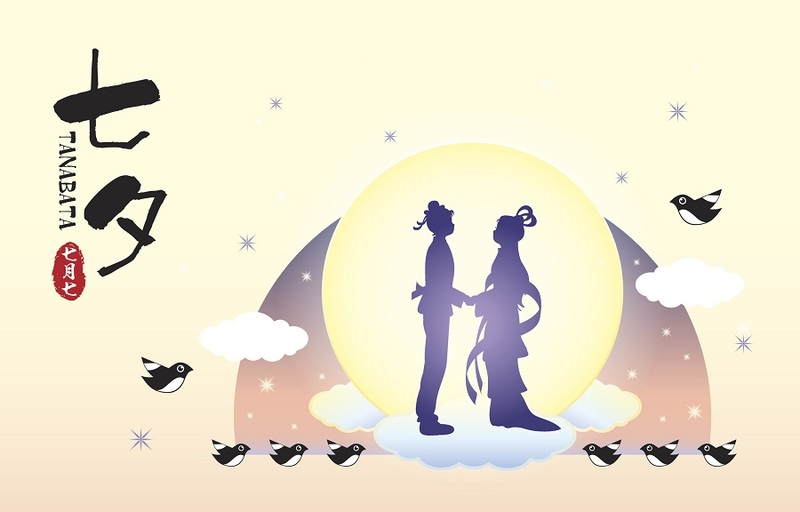 The Qixi festival celebrates this annual meeting. Where traditionally, single women would pray for a loving husband, and married women would offer tea, flowers, fruit, and face powder to Zhinü and Niulang. But today, Qixi looks a lot like the Western version of Valentine’s Day. Boys and girls, men and women, both give gifts to their significant other. It is difficult to confirm the exact time when Western Valentine’s Day traditions were introduced to China. However, Western Valentine’s Day is widely celebrated in urban areas, where there are a lot of commercial events, especially in big cities like Shanghai, Beijing, Hong Kong, and Guangzhou. Here’s the most famous legend: Roman Emperor Claudius II, a pagan, persecuted Saint Valentine for being Christian. Claudius gave Valentine a chance to recant his faith, but Valentine refused. He even tried to convert the Emperor to Christianity – it didn’t work out so well. Valentine was sentenced to death. The night before his execution, Valentine healed the jailer’s dying daughter Julia though a miracle of faith. He wrote her a letter, signed, “Your Valentine.” Valentine was martyred a saint by the Catholic Church and today remains a symbol of love. Other martyrdom stories include the tale of Saint Valentine performing weddings for soldiers who were forbidden to marry. Valentine’s Day is celebrated on February 14. Many people use this day to celebrate their love for their significant other, friends, family and children by giving gifts or cards. Children typically celebrate at school by handing out valentines to their classmates. Valentine’s cards are often decorated with images of hearts, red roses or Cupid. Common Valentine’s Day gifts are flowers chocolates and candy. Check out our homestay blog for more information on Cambridge Network as a homestay provider, tips for hosting, and our host testimonials. If you’re interested in hosting an international student, please fill out an inquiry form! On the basis of materials submitted and reviewed, the Council on Standards for International Educational Travel grants full International Educational Travel and Exchange Programs listing to Cambridge Network in the 2018-2019 Advisory List. The CSIET certification mark certifies that this organization complies with the standards set forth in the CSIET Standards for International Educational Travel Programs.